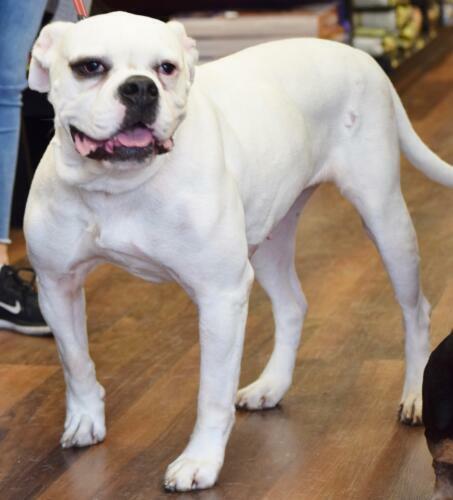 Meet LILY, an American Bulldog cross, who has found herself at the age of 3 in a Senior Rescue. Lily came to us in need of palliative care, as she was believed to be full of cancer. She visited our vet and had one large fat lump removed and a mammary tumour removed, that was cancerous. She is cancer free now. She is a beautiful, good girl, who is house trained. Lily has met children at our event and it was not an issue but she is strong and may knock them down. 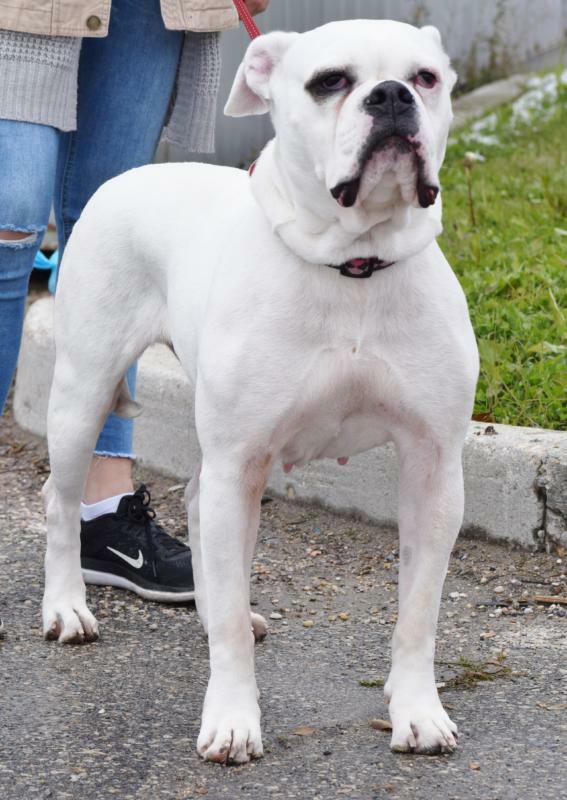 She is good with other dogs when properly introduced,Best in a home without cats although she does not chase them and she is fostered in a home with a cat .She is very active and really needs a home that can exercise her regularly.